SinglesCruising is Australia’s foremost organiser of singles cruising groups. Our aim is to ensure you Travel Single, but Never Alone. Join a like minded group of other singles on one of our fantastic cruises and you’ll be sure to have a great time and meet a whole bunch of new friends. We arrange all the details of your cruise, create fun and relaxed opportunities for you to meet everyone in our group, and keep the spirited vacation vibe going throughout the cruise. 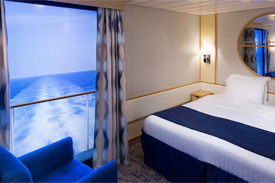 The benefit of booking a singles cruise is that you’ll get to enjoy an exciting cruise holiday and at the same time, meet and travel with a large number of single adults. We all know how hard it is to match up your holiday time with your friends and family, so we offer an easy way for you to travel on your own, but not be on your own. Our friendly and professional hosts coordinate fun events throughout your cruise (think cocktail parties, theme parties, games, dance lessons, singles mingle dining, and more). You’re provided an itinerary of the scheduled events happening during your cruise, and you can join in whenever you like – it’s your holiday! Singles who book with us can choose from a variety of cruises and itineraries planned throughout the year with anywhere from 50 to 100 singles onboard. Enjoy lots of fun with our group of singles as you cruise the beautiful clear waters of the South Pacific, visiting the wonderfully idyllic Lifou and New Caledonia’s capital – Noumea. Hit the beaches for swimming or snorkeling, or simply soak up the sun. However you choose to spend your time, on Explorer of the Seas with your new single friends you’ll be guaranteed a great time! When you join SinglesCruising on this amazing holiday, you’ll experience all the fabulous amenities of the Explorer of the Seas PLUS a special invitation to all the exclusive singles activities we’ll be throwing onboard! Well we can tell you this…you won’t be bored! We have some great times planned both for our onboard journey as well as in port. Check each day out below. And don’t forget to join us before the cruise at our select pre-cruise hotel and “Get Together”. It’s a great opportunity to meet and socialize with your fellow travelling companions before you board the ship! The Explorer of the Seas departs Sydney. Arrive early, (boarding is generally from around 12:00pm). Once onboard, please join us for our first exclusive SinglesCruise event – our welcome cocktail party! Please check your singles mingles itinerary for the exact time of the party and any other important information. Before your cruise departs, start your holiday straight away and soak up the sun and enjoy the ocean breeze in bustling Circular Quay and surrounding areas. The largest of the three Loyalty Islands, Lifou is made of fossil coral, the geological legacy that shaped its diverse, dramatic scenery of immaculate beaches, precipitous cliffs, deep forests and immense caves. Explorer of the Seas and all of our Singles Cruise guests arrive back in Sydney. After an exciting week full of fun, the cruise has finally come to an end. The memories and all your new found friendships will last a lifetime! Browse selections below and remember…our pricing includes the exclusive services of your SinglesCruising host and all the onboard activities planned for our group, plus of course all taxes and fees. 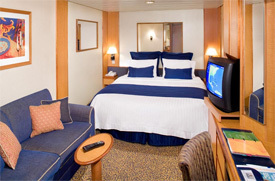 Interior staterooms are excellent value. Perfect for 2 people sharing, they have no window which is great if you like to sleep late! The large picture window will ensure you get plenty of natural light and provides an excellent view of the ocean and each destination! Enjoy the scenic views and fresh sea air from your own private balcony. 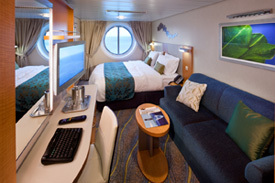 Most balcony staterooms also have a separate sitting area. Are you travelling alone and in need of a roommate? One of the exclusive benefits of travelling with SinglesCruising.com.au is that we will match you with a roommate to make your trip more pleasurable and affordable. Our team aims to match you with a roommate of the same gender and age range and we encourage all single travellers to take advantage of this complimentary service. Not only does sharing a cabin allow you to meet a new travel companion in our group right away, but it also saves you money on the double occupancy cabin rate. Many of the roommates we pair up end up being great friends! *Please note: Our roommate matching service is subject to availability at the time of your reservation. We will aim to match ages as close as possible. Our roommate matching is strictly for non-smokers—this is for the comfort of all our roommate matches, and it relies on the honour system at booking and common courtesy while onboard. Even if you don’t consider yourself a regular smoker, if you do choose to smoke during the cruise, then you will not have the option of using our roommate matching on any future cruises. Take a look at what some of our past guests said about their experience with Singlescruising. I thoroughly enjoyed myself, as I am sure every member of our group did also. I would certainly recommend a Singles Cruise to any person in the similar situation. Many new friends have been made which I will keep in contact with, as would be the case with the others. Full marks for a cruise I will remember forever, and look forward to the next. The room mate I was matched with was great! We got along really well. I had a buddy to hang with, which is what I was hoping for (and also it cost less). To Enquire more or make a reservation on our SINGLES CRUISE, please complete the below form and mention “2019 Singles Cruise” in the Message Field!